Donate now to help them meet their goal! Funds raised through this partnership will help a refugee family with rent, transportation, and other essentials for their first 3-6 months in the U.S. The Eyes on the Future Mentor Team will mentor a family for six months, walking alongside them as they build a new life. For over 30 years, RefugeeOne has partnered with groups like the Eyes on the Future Mentor Team to provide financial assistance and volunteer support for incoming refugees. These partnerships offer crucial support to families as they begin again! Together, we are creating opportunity for those fleeing war, terror, and persecution to build new lives of safety, dignity, and self-reliance. A refugee is someone who is forced to flee their country due to persecution, conflict, or war. With today's global migrant crisis, we are witnessing an unprecedented level of displacement, with more than 65 million displaced people across the globe. Giving to this mentor team fundraising effort will help give a refugee family the help they need to excel as they begin again. From volunteering to interning to co-sponsoring a family of your own, there are many ways you can impact the lives of refugees starting a new life here in Chicago. 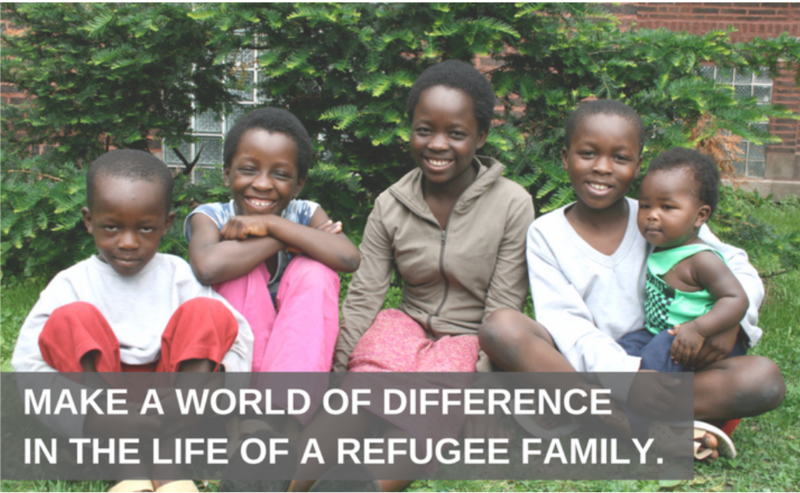 RefugeeOne is a 501c3 organization. All contributions are tax-deductible to the full extent of the law.